New Graphic Novels and Merch! Posted: Thu Oct 26, 2017 1:27 am Post subject: New Graphic Novels and Merch! 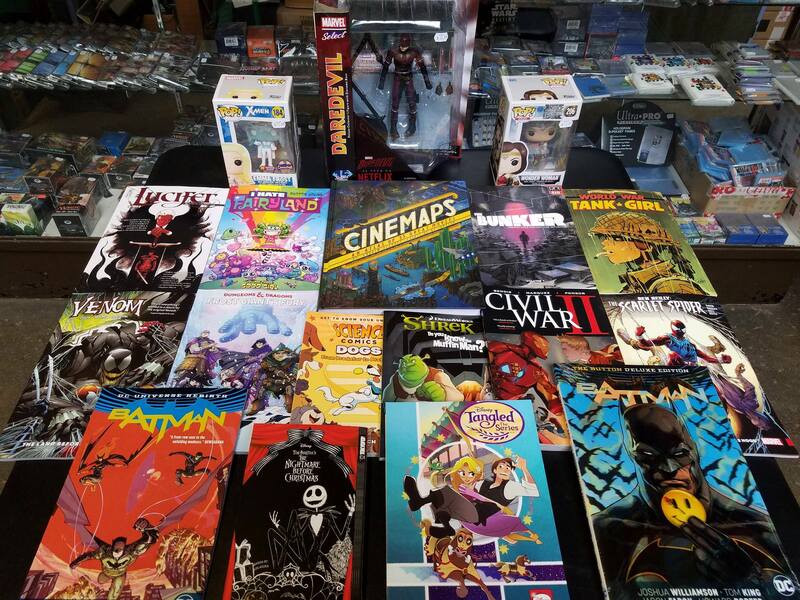 Merlyn's has got a fresh new selection of awesome graphic novels, collectible figures, and art books ready for your perusal. With new additions like Cinemaps: an Atlas of 35 Great Movies, Batman/Flash: The Button Deluxe Edition, World War Tank Girl, Marvel Civil War II, and Tim Burton's the Nightmare Before Christmas manga just to name a few, there's an exciting new title for just about about everyone! Stop by the store today to check them all out!